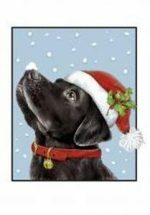 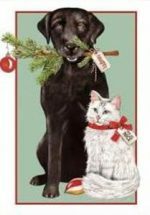 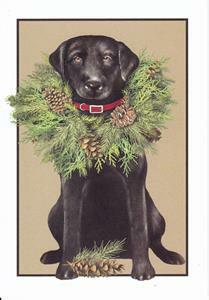 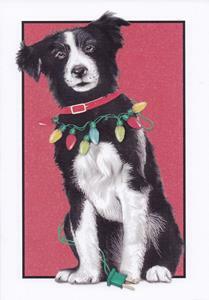 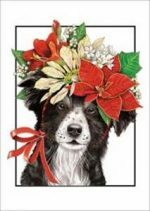 Wreathed Black Lab – Greeted: Celebrate the holidays wreathed in joy ! 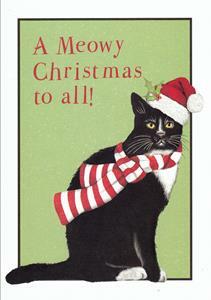 Black Cat – A Meowy Christmas to all ! 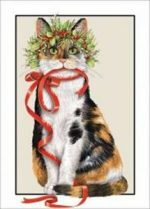 Greeted: and to all a Happy New Year ! 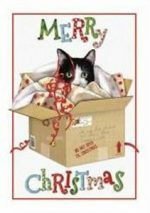 Cat in the Box – Greeted: May your holidays be full of surprises ! 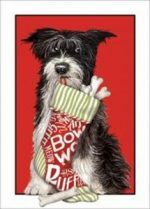 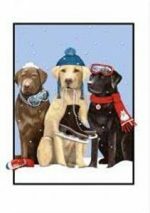 Winter Dogs – Greeted: Let the winter fun begin. 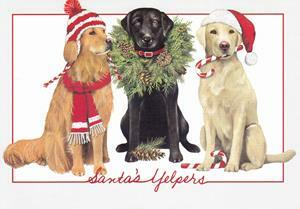 Happy Holidays from all of us !